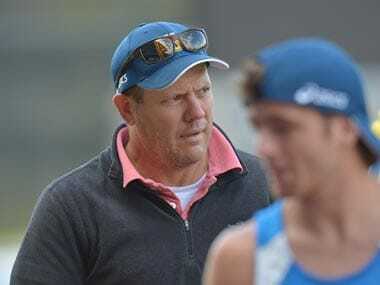 Bengaluru: The former Australian forward Kieran Govers has joined the national camp to help the Indian men's hockey team strikers prepare for the 2020 Olympic Qualifiers. 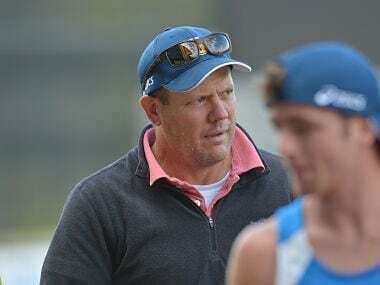 Govers, who was a part of the Australian team that won the Men's World Cup in 2010 and 2014, arrived in Bengaluru on Monday for an eight-day special camp for strikers at the Sports Authority of India. "I am truly excited to return to India. I have some really fond memories of playing in this hockey-crazy country," said Govers. "I have been following the Indian team's progress very closely and I believe they have great potential. In the next few days, I will be working with the forwards to see how we can improve their efficiency inside the circle and when the opponents' marking is tight how can we convert." Govers said he would help the Indian strikers improve their conversion rate. "We will also be doing some video analysis from the recent Sultan Azlan Shah Cup to dissect where the strikers could have done better. The whole idea is to help improve the conversion rate," said the 31-year-old NSW star striker. India's ace striker Sunil said, "His experience will immensely help our forwards. He was one of the best strikers for Australia and he is extremely good in pressing, goal scoring and positioning inside the circle. "These are the areas our team needs improvement and there are many good things we can learn from him.